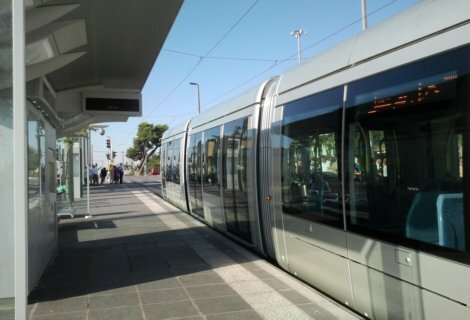 The Jerusalem light rail system commenced operations on August 19, 2011 and provides a smooth, swift way of getting around Jerusalem. The Jerusalem light rail was a long time coming, but it is already revitalizing the city center, which now has a very calm, quiet feel to it. The train runs on a North/South route through the center of the city. 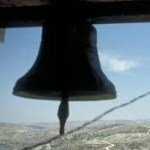 To get to the Old City by train, get off at the Safra Square stop and walk from there to Jaffa Gate - a 10-minute walk. When's the next train and how do we get to where we want to go? Download Moovit, a free Israeli app for the quickest itineraries and public transportation schedules in Jerusalem! The light rail trains run every few minutes, offering a fast, smooth glide through the center of town and back. 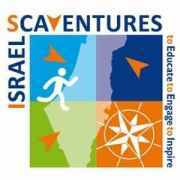 They start in Bayit Vegan, across from the turn off to Yad Vashem and the entrance to Mt. Herzl and the Theodore Herzl Museum, going North along Herzl boulevard, over the Calatrava Bridge of Strings – which was built specifically for the tain – to the Central Bus Station. 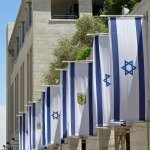 They then continue along Jaffa Street, with stops at Machane Yehuda, where you'd also get off to tour Nahlaot, Davidka Square, Kikar Zion at the bottom of Ben Yehuda Street and City Hall at Kikar Safra. From there, the track goes along the Old City walls, past New Gate and Damascus Gate, then heads past Ammunition Hill, French Hill and the northern neighborhood of Pisgat Zeev. 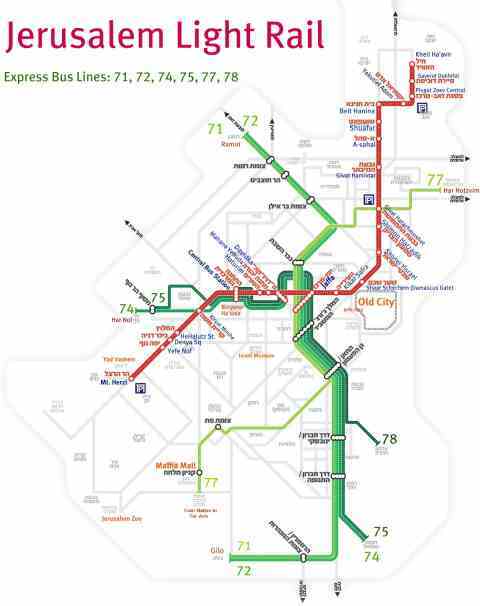 The following map highlights the Jerusalem light rail track in red, with the bus lines that will bring you there in green. If it is hard to read on your screen or mobile, download the map in pdf format here. A train ticket costs the same as the bus. Jerusalemites have to use a personalized "Rav Kav" card with their photo and name on the back, but there is an "anonymous Rav Kav" for tourists and other non-residents. Unlike on Egged buses, where you can buy a ticket from the driver, there is no money on the Jerusalem light rail. You must charge your Rav Kav card or buy a single ticket from the computerized terminals at major train stops, from a bus driver, or at the ticket booths of the Central Bus Station. If you use a Rav Kav card, a single-ride is valid on the train and/or buses for 90 minutes from the moment you swipe your ticket on the train. Within those 90 minutes, you can transfer to or from a bus on the same fare. A single-ride paper ticket is good for one ride only and does not entitle you to transfer within the 90 minutes as a single-ride on a Rav Kav card will. If you wish to buy a ticket from the computerized terminal at train stations, instructions on the screen will tell you to choose your language (Hebrew, Arabic, Russian or English). In this age of the ipad, its amazing how many people get frustrated because they keep pushing the screen and nothing happens. So please take note: this is not a touchscreen - the real, hardware buttons to push are located on either side of the screen! Officially, you can pay by cash or credit card. In real life, not all the machines accept cash. You may have to cross the tracks to try the terminals on the other side if you must pay with money rather than plastic. Once you board the train, place your Rav Kav card flush against the front of the ticket machine - not in the slot at the top. The slot is where you slide in your paper ticket, if that's what you're using. If the light blinks green, you're good to go. Keep your card or ticket handy. Jerusalem light rail ticket collectors patrol the trains, checking them to make sure no one's hopped on for a free ride. 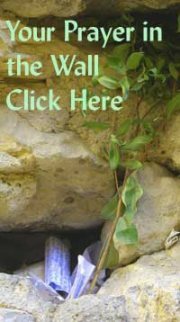 Click here for more on how to get around Jerusalem by public bus. 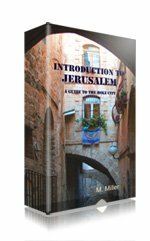 Click here for more on how to get around Jerusalem by taxi.